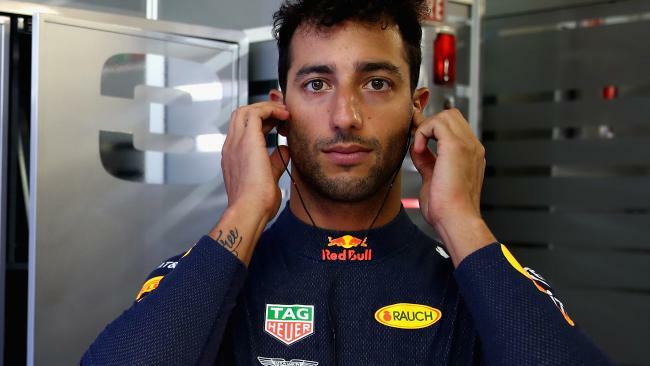 RED Bull has reportedly vented its anger over what it claims was a bungled engine upgrade for Daniel Ricciardo ahead of the German Grand Prix. The Aussie star is still facing the potential of another grid penalty heading into this weekend's Hungarian Grand Prix. According to reports, Red Bull is not happy about engine supplier Renault's decision to only upgrade three of the six power unit components before Ricciardo's power unit failure at the German Grand Prix. It comes as tensions continue to grow between Red Bull and Renault over the energy drink team's decision to change to Honda-supplied power units heading into the 2019 F1 season. There is also lingering ill-feeling over Red Bull's refusal to announce its intentions with star driver Carlos Sainz, who remains contracted with Red Bull despite being loaned out to Renault. Red Bull was forced to scrap its experimental RB15. Renault has been unable to plan its own driver line-up for next season as Red Bull continues to keep its hold on Sainz while Ricciardo's own contract negotiations continue to drag on. Red Bull boss Christian Horner spoke publicly about the tensions heading into the German Grand Prix by suggesting he had concerns about Renault's decision not to upgrade every element of Ricciardo's RB14 power unit last week. "This is a question for Renault. The normal strategy is to change everything you can," he told Autosport.com. Autosport reports Red Bull is frustrated by Renault's decision to delay upgrades to Ricciardo's V6, MGU-H and its turbo system. However, Renault has hit back at reports of Red Bull discontent to explain its decision not to upgrade Ricciardo's entire power unit. "There was no reason to change the ICE (internal combustion engine), at the time," Renault F1 managing director Cyril Abiteboul said. "It's always the same thing, in hindsight after the race, you can always reinvent the world and re-do scenarios, but it's like strategy, wet and dry, it's like lots of things. Daniel Ricciardo will avoid a grid penalty. 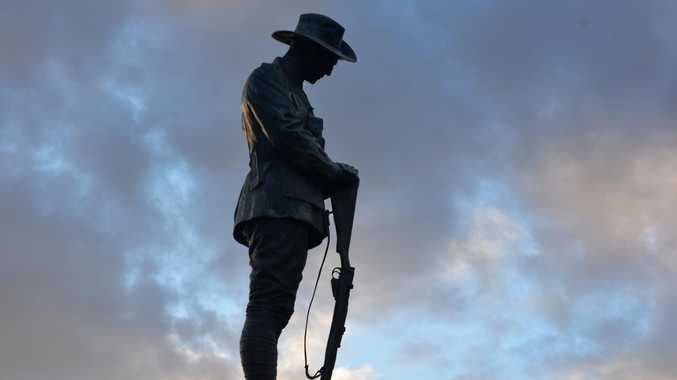 "At the time, when we had to make a decision, with the information we had at the time, there was absolutely no reason. "Engine failure can happen at any time, even with a new engine, unfortunately, it can happen, as happened in the past. "There was no more certainty with a new engine than an old engine." Meanwhile, Red Bull has declared it is confident Ricciardo will avoid grid penalties at this weekend's Hungaroring event. 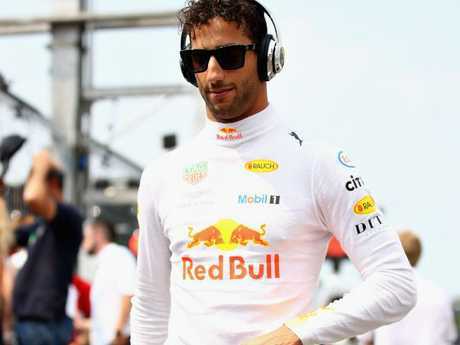 A team spokesman told the BBC the part which caused Ricciardo's engine failure last weekend has been replaced "with one of our quota" - allowing Ricciardo to avoid any penalty. The Red Bull-Renault relationship was further deteriorated earlier this month by Red Bull ace Max Verstappen publicly labelling the Renault power unit "tragic" and a "joke". 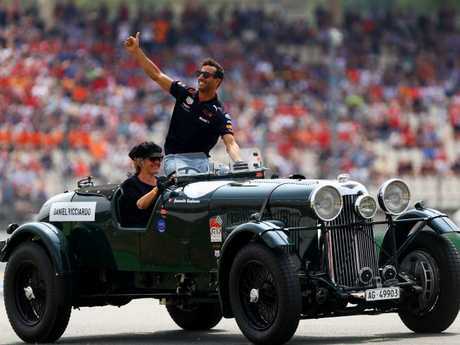 Verstappen failed to finish the British Grand Prix less than three weeks ago when he suffered a clutch problem. "It's just incredibly frustrating how much we are lacking on the straights," Verstappen told Dutch television, according to motorsport.com. "It's a real bummer. It was tragic. On the straights it's like you are driving in a different series."